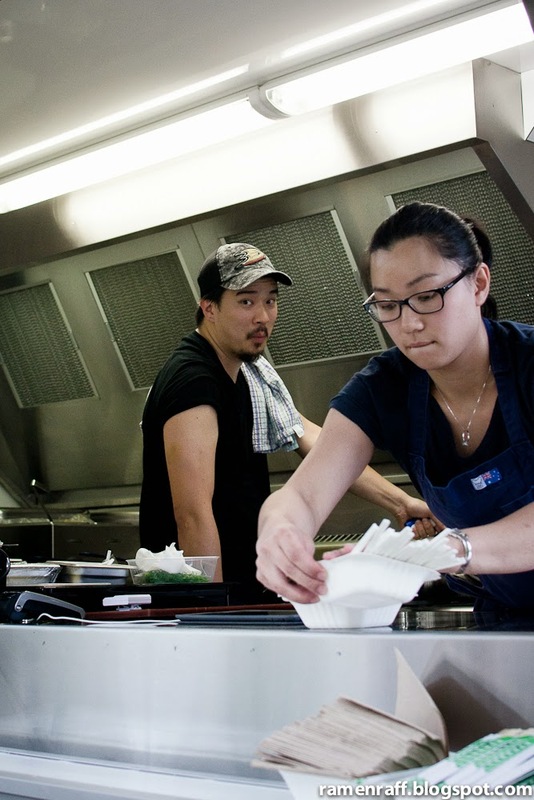 It's almost been three years since the first batch of food trucks rolled out in the city of Sydney. Since then, their popularity has grown and more has joined the scene. My homie Alexander Wong (ex Chica Bonita Manly, Queenies and China Lane) who we also know as Lex is the latest chef to join the line up with Yang's Malaysian Food Truck. Yang is actually derived from Lex's Chinese name. 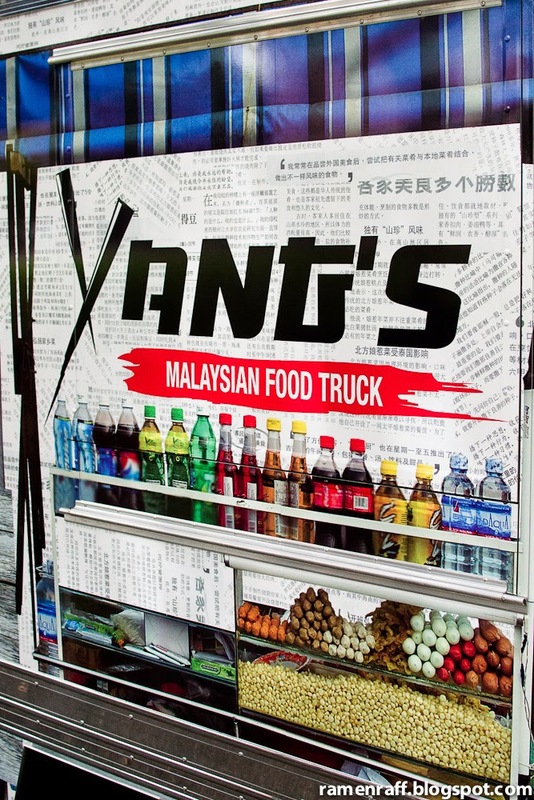 It's a food truck that offers Malaysian dishes but in good ol' fashion food truck style. 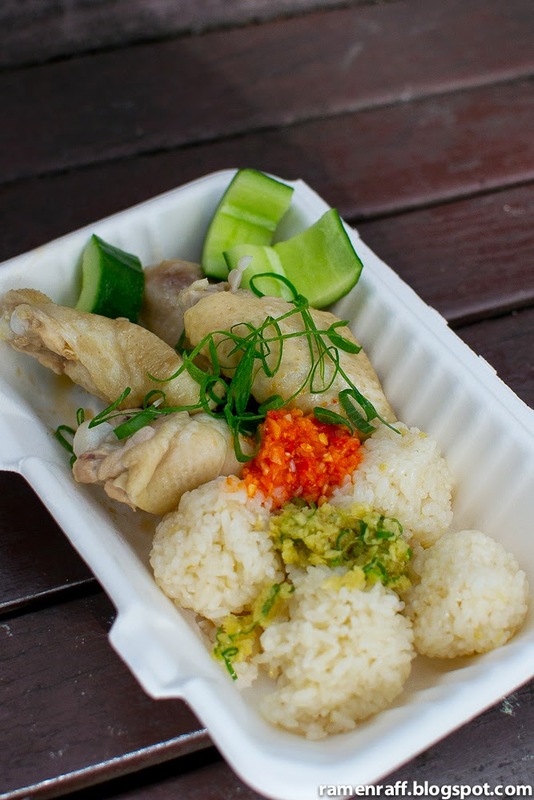 Making dishes like Hainanese chicken rice more portable and convenient to eat. Other hawker-style dishes with the Lex twist are also available. First up, I tried the Ramli slider ($5) which is Lex's take on the renowned Ramly burger from Malaysia. 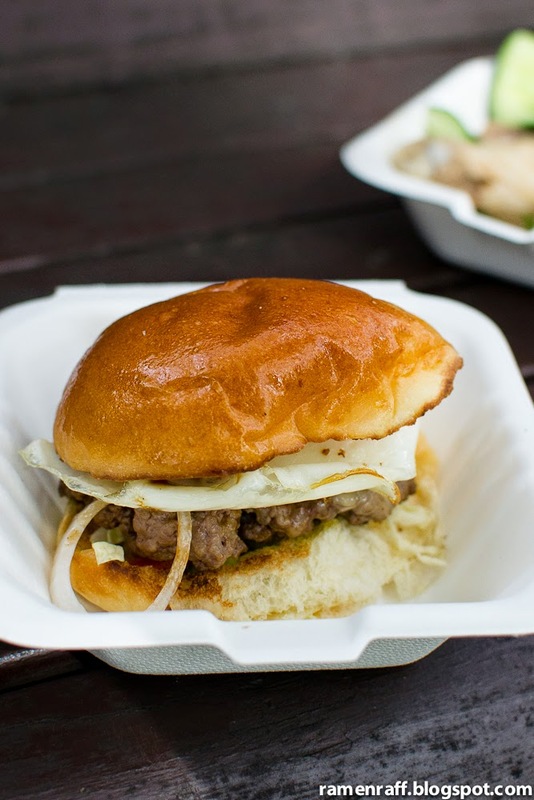 It consists of juicy beef patty, fried egg, cabbage, onion, worcestershire sauce and Maggi seasoning in sweet soft milk bun. The patty was quite tasty and juicy but it was the pronounced Maggi seasoning that makes this slider different from the Western burgers. The Hainanese chicken wings with chicken rice balls ($6) was one of the dishes that I really looked forward to and it did not disappoint! It was accompanied with the classic ginger and chilli sauces. The chicken was perfectly poached and succulent. The rice had the distinct chicken, ginger and garlic flavours. Last but not least was the soft shell chilli crab with fried mantou ($7). The soft shell crab was cooked spot on and had that delicate crisped soft with flavoursome soft innards. It was mind blowing! 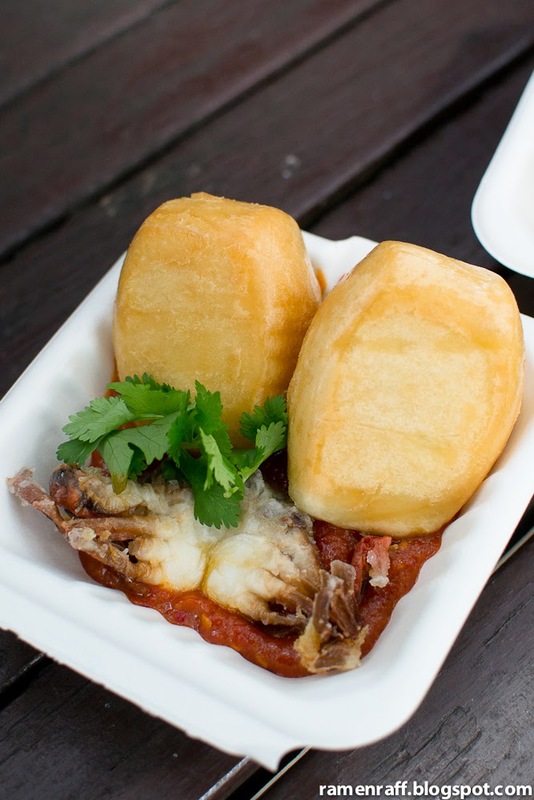 The fried mantou was perfect to mop up the spicy, sweet and tangy tomato based sauce. Lex's Singaporean chilli sauce had great depth of flavours. 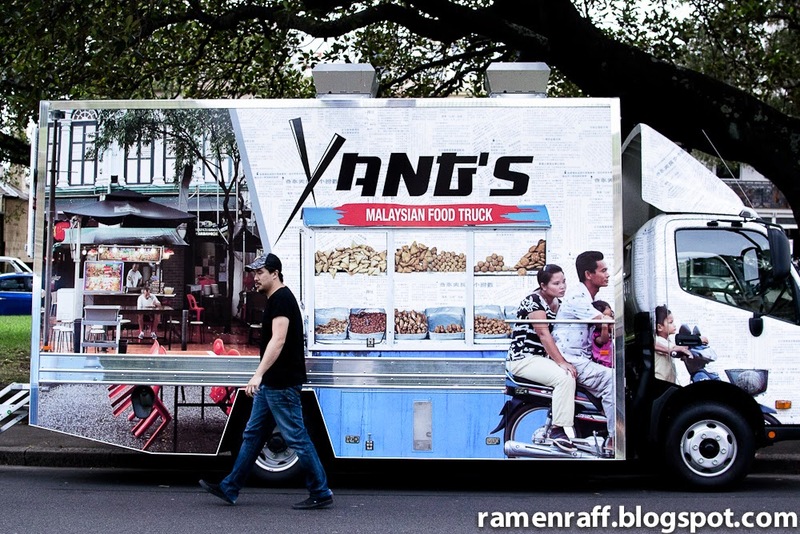 Word is that there are more things to come out of the Yang's Malaysian Food Truck! So stay tuned! 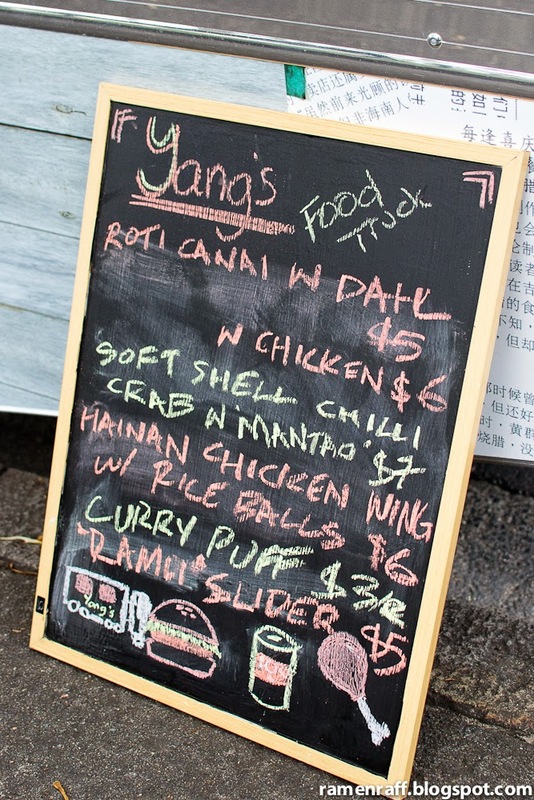 Follow Chef Lex on Instagram and SydneyFoodtrucks.com.au for Yang's next stop.